You’re probably curious to know why I left banking to become a tiffinwala? In that case, great minds (granny and you) think alike. Hopefully, by the end of this article, you will disagree with granny. So before the story unfolds, I just want to let you know that this post is not about hard-hitting “follow your dream” quotes, but a simple story of a boy, who pursued an idea, thanks to a 6-inch (semi) warm subway. When all you can cook is Maggi, “takeaways” are your best friend. That evening was no different, as I unwrapped my dinner and bit into my sandwich. The perk of regularly having takeaway food is that you know the taste even before having it – the burger tastes just the same, anytime, anywhere. You get my point, I was feeding myself, but it was far from enjoying dinner. As I often muttered “Yeh Kya Bakwaas hai”, I also thought about how easy life would be if I could just pay someone to cook for me. I already had a target “someone” in mind – my colleagues. I was a big fan of my colleagues’ lunch but was always hesitant to ask them for more than a bite. After all, who likes to be known as the bhukkad (glutton) on the floor, right. But there had to be a solution to this hesitation. There had to be – for the sake of food and food lovers. As days passed by, this thought constantly recurred, and I realised there might be many in my situation, wanting to have home-made food but no platform to access it. This gap gave birth to the idea of creating a network where food makers and eaters could come together to celebrate food. As I started sketching out the initial plans, it grew on me with each passing day. Fast-forward 3 months and I was at Heathrow with a one-way ticket to Mumbai. All I was carrying with me was an idea and 2 big suitcases of motivation to build a startup. The only items I left behind were my takeaway loyalty cards. Do Daal – Teen Roti – Kahan Bhejna hai? Hopefully, I can take you through the concept a lot quicker. As I mentioned, I wanted to create a network where food could be shared and eaten without any barriers. Before you get down to thinking it’s another food delivery service. Nah, it’s not. There are a handful already doing a great job. 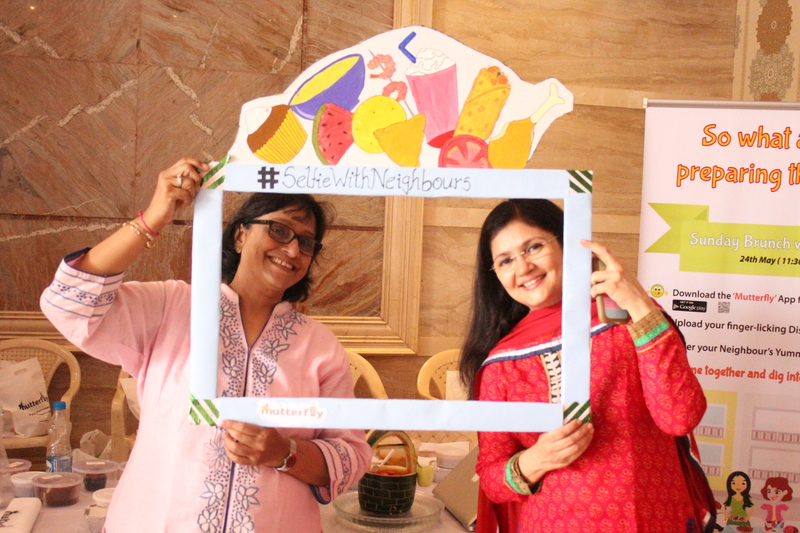 I am here to build a food-sharing platform between Neighbours – yes, your next-door buddy! You might have often sniffed that aroma from your neighbours’ kitchen. But how often have you tasted their dish? So, I thought why not give food lovers an opportunity where they don’t need a bahana to have their Neighbours’ Khana. Before starting out to build a fancy product, I wanted to see if my neighbours shared my enthusiasm. So, I started off with an event in my community – ‘Sunday Brunch with Neighbours – This sunday, come and try your neighbour’s speciality and make them try yours’. That’s Granny in the middle ! 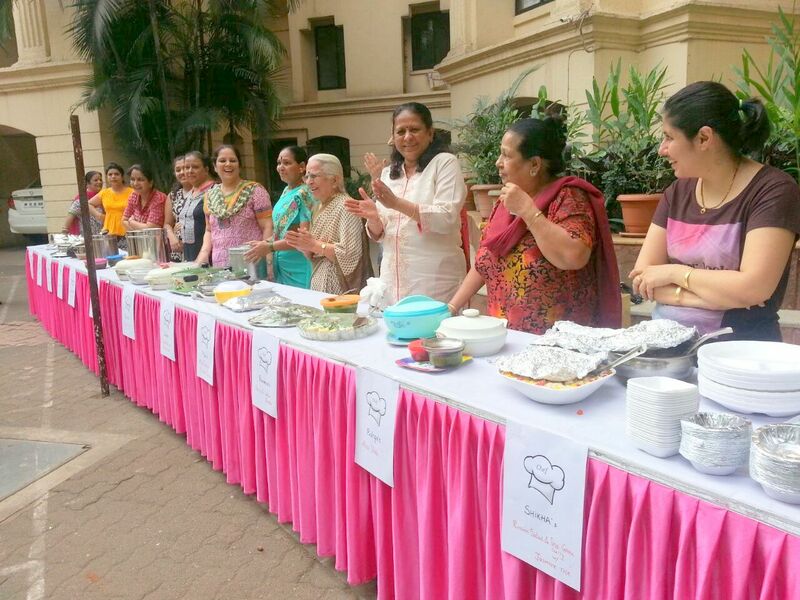 70 residents turned up to try their neighbours’ dishes. What’s more is that the event turned into a social gathering! There was an aura of festivity – where neighbours shared smiles along with food. Let’s just say it felt like a community; the feeling which is often lost in the fast-paced city life. This made me realise that there was an added advantage to sharing food with neighbours – it unconsciously brought them closer. Food did the talking, and for that one day, redefined the social interaction between neighbours. But why just 1 day? What’s more is that post the event, ‘I’ changed to ‘We’ with an enthu techie and a keen mentor joining the team. So coming back, we took 3 weeks to build a basic app and held a similar event in another community of Hiranandani Gardens, Powai. We targeted 200 flats this time and realised that when your audience become bigger the questions become more interesting. (Quizzical) Uncle :What if someone orders my daughter’s dish as an excuse to hit on her? So what are we doing next ? More events ? 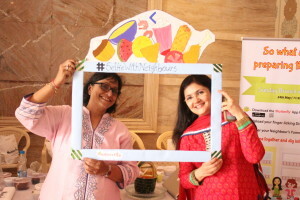 Our pilot events have not only shown us the appetite for neighbours’ khana but also how food can build social interaction between neighbours. We have taken back all the enthusiasm on board and are excitedly working towards launching our enhanced app in July. In the interim, we are inviting 100 communities from India to join the Mutterfly gang and be the first users of the app. So if you’re that foodie who’s been eyeing his neighbour’s khana or that neighbour who would love to share his yummy dish with others, drop us your details on our website. We will get in touch as soon as we are ready to fly around your neighbourhood. Oh wait a second…don’t you want to know what granny thinks now? Well..she still thinks I am selling food but she’s happier knowing that I am adding some smiles in the process. Maybe you can convince granny that her grandson is doing something more than selling tiffins , by sharing this article. 2016 Update : Mutterfly & Granny’s Tiffinwala have grown up over the last few months. While we are still chasing the same vision of connecting neighbourhoods through the power of sharing, we have expanded beyond food. Mutterfly now lets you borrow items you need for one-off purpose from people nearby. In return for sharing your unused items, you are rewarded with gift vouchers from Flipkart, BookMyShow & Dominos. So next time you need something but don’t want to Buy, just #KaroMutterfly! Amazing.. Fantastic.. Hope you keep on adding smiles and you get the same multiplied by the efforts you have been putting in. Cheers…!!! This is so cool Akshay !! And the name Mutterfly totally wins brownie points ! Alll the very best for your venture ! Would love to be a part of the neighbourhood clan ! Love the enthusiasm Shweta ! That’s what keeps us going. Would be a pleasure to have you in the gang. See you soon on the app. Congratulations, Akshay!!!!!! So proud you. Very well written. Do follow your dreams. Blessings and wishing you success. All the best Rinu Didi and Akshay.. Appears to be an awesome idea..!!! so proud. so happy. and always championing the entrepreneurial cause. i’ll support however i can. i cannot wait to see how your journey unfolds. remember: the juice is in the journey, not the destination. keep going. Thanks Asha and it feels even better coming from a brilliant writer like you. I’ll take your words and enjoy the Mutterfly journey to the fullest. saw this article as a linkedin update, wanted to congratulate you on this initiative. May Allah Almighty make this venture successful. All the best and may God bless you with unfathomable success. Way to go…. Akshay very innovative and great initiative to encourage human diaspora to come together and share their joy and happiness. I am sure slowly but surely this activity would attain global footprints.God bless you and live your life passionately . Congratulations Akshay for such a fantastic endeavour. May u progress in Leaps and bounds. God bless. Thanks for those really kind words ! Very interesting idea! Good Luck! When’s it coming to London?! One word – Brilliant. Very proud of you Akshay. This just took me back to our conversation about 3-4 years back when you were trying to change teams within MS. Great to see that you are finally out of the rat race and taking matters in your own hands. Strive for the best buddy, kudos! Thanks Mamta for the wishes (and also for calling the other ideas crazy ;)) Hopefully can implement the others at some point. Thanks a ton Sunil for those encouraging words. Yes, definitely the idea will evolve as we go ahead. Amazing write-up and good concept. Do shout out if you need a helping hand. Best Wishes. Thanks Ashwin ! We could definitely benefit with your input. Will connect with you on email. Amazing idea. All the best for your success. I am very curious to know How did you come up with the name Mutterfly? Thanks a lot Rinki ! Can I increase the suspense for a little while as I am planning another post on this topic ? Will let you know once it is out – Mutterpromise. 3 things inspire me to write this comment. 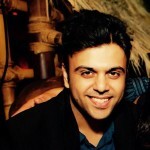 1) the awesome concept – crazy idea from crazy guy ! 2) name it self – Mutterfly! 3) 36 comments till date – they are not wrong ! Amazing Idea and really best of luck with Mutterfly. I’m sure you will “Pump it Up!” just like those days at BDS. if you ever need any help in the web world, do feel free to give me a shout! Other than that, I’m eagerly waiting for the app as everyone is!